Shakespeare’s poetic-dramatic worlds are inescapably limited. There is always, in his poems and plays, a force (a contingent drive, a pre-textual undertow, a rational-critical momentum, an ironic stance, the deflections of error) coercing plot and meaning to their end. 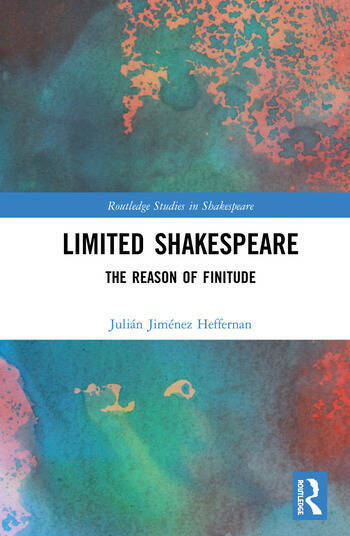 By examining the work of limits in the sonnets and in five of his plays, this book seeks not only to highlight the poet’s steadfast commitment to critical rationality. It also aims to plead a case of hermeneutic continence. Present-day appraisals of Shakespeare’s world-making and meaning-projecting potential are often overruled by a neo-romantic and phenomenological celebration of plenty. This pre-critical tendency unwittingly obtains epistemic legitimation from philosophical quarters inspired by Alain Badiou’s derisive rejection of "the pathos of finitude". But finitude is much more than a modish, neo-existentialist, watchword. It is what is left of ontology when reason is done. And cool reason was already at work before Kant. In accounting for the way in which Shakespeare places limits to life (Romeo and Juliet), to experience (The Tempest), to love (the Sonnets), to time (Macbeth), to the world (Hamlet) and to knowledge (Othello), Limited Shakespeare: The Reason of Finitude aims to underscore the deeply mediated dimension of Shakespearean experience, always over-determined by the twin forces of contingency and textual determinism, and his meta-rational and virtually ironic taste for irrational, accidental, and error-driven limits (bonds, bounds, deaths). Julián Jiménez Heffernan is Professor of English and Comparative Literature at the Universidad de Córdoba, Spain. He holds Ph.D in Philology from the University of Bologna. His dissertation examines the rhetorical dimension of Giordano Bruno’s metaphysical conception of infinity. He has published on Renaissance philosophy and literature, deconstructive rhetorics, romantic theory and modern fiction. His articles have appeared in journals like Comparative Literature, Intersezioni, NOVEL, Arizona Quarterly, Contemporary Literature, The Henry James Review, Textual Practice and Representations. He is the author of Shakespeare’s Extremes: Wild Man, Monster, Beast (Palgrave, 2016).